After a player is drafted by an NBA franchise there are a few big decisions that have to be made in a short amount of time. One of those decisions is what number they will wear on their jersey. So why did Dennis Smith Jr, who has 4 in his twitter handle, land on #1? At his introductory press conference, Smith Jr was asked what went into deciding on wearing #1 and this was his answer. “Ah, man, I was doing the media circuit after my name had got called. And they [were] like alright it’s time to pick a number. So, you know, of course, I wanted 4 and I couldn’t get that. You know, Michael Finley, you know he had [done] his thing while he was here. That’s great for him. “I couldn’t get that” is a fascinating statement by the newest Maverick. Since Finley wore #4 Shawne Williams, Caron Butler, Kelenna Azubuike, Darren Collision, Greg Smith, and most recently Quincy Acy have all played in #4 for the Mavs. So why couldn’t Dennis Smith Jr also wear the number he wore at NC State and at Trinity Christian High School? 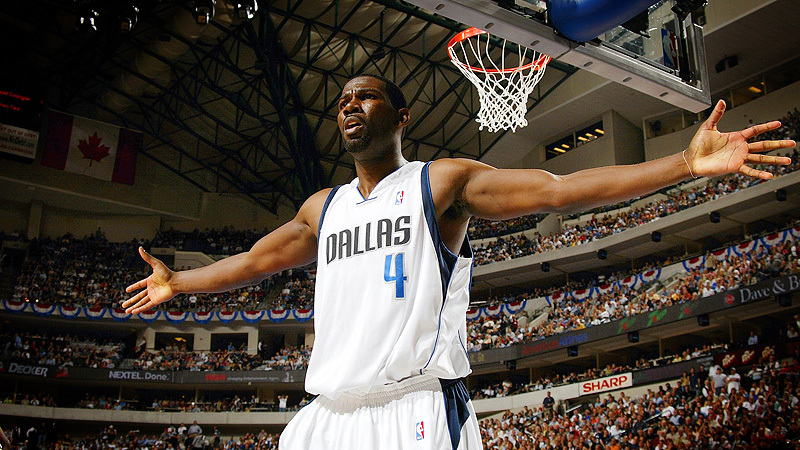 The Dallas Mavericks are finally going to retire Michael Finely’s #4 jersey. After 12 years of Ross/Rachel ‘will they/won’t they’ speculation it looks like it’s finally going to happen. At least, that’s the speculative answer but an answer that has been heard by another source inside the Mavericks. The more difficult answer is that Michael Finley’s number may eventually be retired but they didn’t want to threaten it by giving it to a player with the potential of Smith Jr. What if the Mavericks decided to give #4 to Smith Jr and he becomes an All-Star? Then he leads the Mavericks to the playoffs and hopefully the NBA Finals. Would the Mavericks be forced to retire #4 twice?! Shawne Williams and the bunch were not ever going to challenge Michael Finley’s place as the best #4 in Mavericks history, but the Mavericks know Smith Jr can. There’s less to read into with the rest of his jersey number choices. So Smith tried again, “They I said well can I get 5? No.” And again, “Can I get #3? No.” Which are currently J.J. Barea (5) and Nerlens Noel’s (5) current numbers. Then an exasperated Smith Jr said, “Man, are ya’ll sure you called me for Dallas? Am I really the right guy? Then we found out I could get 1, so it worked out fine.” As the entire room laughed with him after going through 4 numbers to finally land on #1. The list of the former Mavericks to wear #1 is eclectic, brief, and it won’t take long (or much) for Smith Jr to become the #1 #1 in Mavericks history.